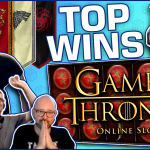 Insane Bonuses, High bets, huge wins - and more, all on last week's Biggest Casino wins on Stream. 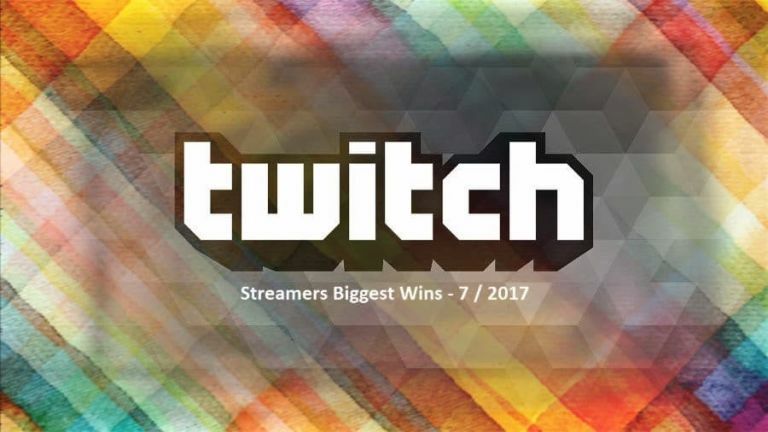 Our weekly segment bring the best wins on stream for the 7th week of 2017. Today we include wins made from the 13th until the 19th of February 2017. As always we try to give a background review of every win. The article has a progressive setup which leaves the most impressive wins at the end. We start with a great bonus on King of the Pride. Rex was playing at Casumo when he triggered the free spins on a €2 bet. The spirit of the Jungle was with our streamer this time as he managed to get a win total of €520. It has already been established that if you want to hit big in the base game you go Avalon II. This was made obvious last week with Slotspinner’s huge win on the slot. The German was betting €0.9 on Cherry Casino (read our review here) when a lucky spin rewarded him with a €216 win. Calling NickSlots lucky is an understatement as this point. 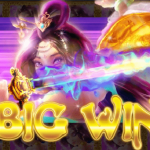 Every week, the popular streamer gives us a number of more than impressive wins on various slots. Last week it was time for Nick to win big on 300 Shields. Apparently Casumo is a lucky casino as it was here that Nick made his big win. Our favorite Brit was betting £2.50 per spin when he hit the bonus. The start of the bonus was not looking good, however you only need one spin they say. And one spin it was all it took for Nick to get a huge £796 win. A very fun streamer which we haven’t seen much in our segments is MiikaPekka. However we could not leave out his impressive in on Wonky Wabbits. Miika was playing €1.20 bets when the slot’s feature allowed for 8 wild to be spread across the reels. The result? - a €619 win. Out of the Blue! This is the best phrase to describe Kim’s win last week. As always on LeoVegas, Kim was trying SEK 60 bets on a slot that he had never played before. Shaaark Super Bet was suggested by one of the viewers, and the slot didn’t look like much at the start. One spin changed everything and turned a bonus around. In total Kim won almost SEK 10000. Most of you must have already played, or seen played, the new Netent slot JokerPro. 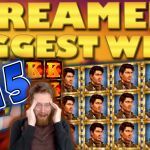 A number of streamers won big on the game last week, however non compare to Badazzbear’s insane hit. The streamer triggered the slot’s feature which transforms the outer reels wild and was lucky with the symbols landing in the middle. Only drawback it’s that he should have betted higher. The win was impressive nonetheless as a AUD 0.60 bet turned into a AUD 600 win. 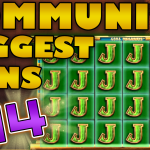 Make sure to check our other videos on CasinoGrounds YouTube page.